If you are lucky enough have normal vision, you may take healthy eyes for granted. But if you started wearing glasses early in life or recently learned you needed them, you may be more aware of and concerned about your eyes and vision. 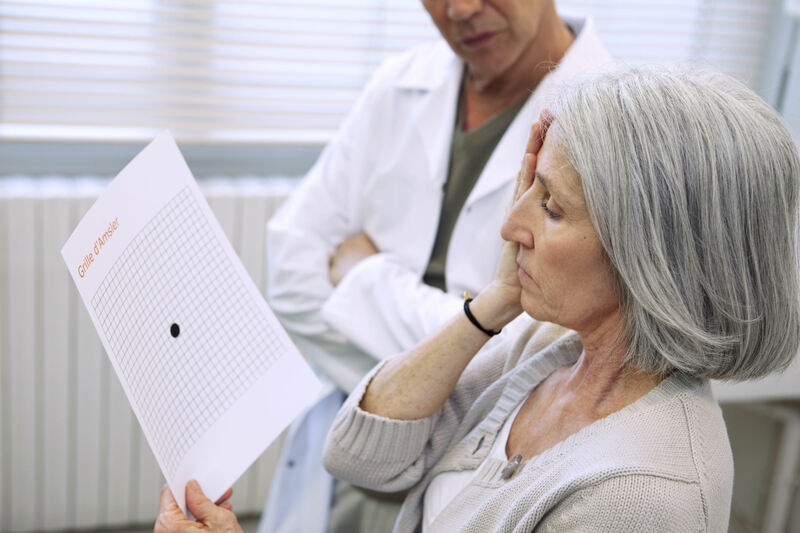 As we age, protecting eyesight becomes more important than ever; that’s because with age comes vulnerability to degenerative eye diseases like age-related macular degeneration (AMD). Many people close to me are affected by this disease, and the heartbreak and difficulty I witness is distressing. It can strike virtually any of us. It’s tough to treat. And it can lead to severely impaired vision”or even blindness. AMD is the leading cause of vision loss among people 50 and older. It causes damage to the macula, which is a small spot near the center of the retina; it’s the part of the eye that you need for sharp, central vision that allows you to see objects that are straight ahead. In some people, AMD progresses slowly, and their vision loss does not occur for a long time. In others, the progression is faster and can lead to loss of vision in one or both eyes. Risk factors include smoking, race (it’s more common among Caucasians than among African-Americans or Hispanics/Latinos) and family history (people with a family history of AMD are at higher risk). Enough bad news. What’s the good news? In fact, a recent study found that aerobic exercise could benefit your retinas. OK, the study was done on mice, and the image of mice running on treadmills might make you giggle. But when electrical activity of their retinas was measured, the mice that exercised showed two times greater function compared with the inactive mice. Even though their eyes were exposed to damaging bright light, the mice in the exercise group had twice as many healthy photoreceptors as did the inactive mice. If you need more solid evidence, there were women who were studied in a different initiative, and evidence was found that maintaining a regimen of daily physical activity influenced long-term preservation of vision. It helps, too, to follow the U.S. Dietary Guidelines. I don’t know about you, but since there’s no cure for AMD, rather than feel helpless and frightened, I’m happy to empower myself as much as possible and fight to reduce my risk by going outside for a long walk, hitting the gym or taking my bike out for a spin. aerobicAerobic exerciseblood pressureBLOOD PRESURECholesterolcholesterol levelexerciseHealthy dietMacular DegenerationProtect visionretinaU.S. Dietary Guidelines.